Esce​ ​il​ ​14​ ​Ottobre​ ​2017​ ​il​ ​nuovo​ ​album​ ​della​ ​band​ ​Electro​ ​Dub​ ​bresciana​ ​Road​ ​to​ ​Zion.​ ​Dopo l’esperienza​ ​di​ ​The​ ​Monkey​ ​Temple,​ ​disco​ ​antecedente​ ​al​ ​nuovo​ ​in​ ​uscita,​ ​e​ ​dopo​ ​innumerevoli​ ​prove​ ​su palchi​ ​di​ ​festival/club​ ​importanti​ ​come​ ​Outlook​ ​Festival​ ,​ ​Latte+​, CS​ ​Pacì​ ​Paciana​,​​CS​ ​Magazzino​ ​47​,​ ​Tetris​, ​Festa​ ​Radio​ ​Onda​ ​d’Urto​ ​feat.​ ​Fitta​ ​Warri​ ​e​ ​MusicalZoo​, ​presentano​ ​un​ ​disco​ ​che​ ​richiama le​ ​sonorità​ ​del​ ​dub​ ​europeo​ ​con​ ​le​ ​moderne​ ​contaminazioni​ ​della​ ​musica​ ​elettronica.​ ​Una​ ​mistura studiata​ ​e​ ​registrata​ ​in​ ​mesi​ ​di​ ​produzione​ ​presso​ ​lo​ ​studios​ ​dell’etichetta​ ​indipendente​ ​ed​ ​autogestita bresciana​ ​Cockroach​ ​International​ ​Production. Ideato​ ​e​ ​registrato​ ​da​ ​​Road​ ​to​ ​Zion​ ​—​ ​Line​ ​Up:​ ​Mekis​ ​(Dubmaster​ ​e​ ​Voce),​ ​Winston​ ​Cobe​ ​(Basso​ ​e co-produzioni),​ ​Dave​ ​(Trombone) Mixing​ ​e​ ​Mastering​ ​​a​ ​cura​ ​di​ ​Mekis​ ​presso​ ​Cockroach​ ​International​ ​Production​. Road​ ​to​ ​Zion​ ​are​ ​a​ ​Dub​ ​Band​ ​born​ ​in​ ​Brescia,​ ​a​ ​small​ ​town​ ​near​ ​Milan,​ ​Italy.​ ​The​ ​formation​ ​is​ ​made​ ​up​ ​of Mekis,​ ​like​ ​Dubmaster​ ​and​ ​Voice,​ ​Winston​ ​Cobe​ ​as​ ​bassist​ ​and​ ​Dave​ ​as​ ​a​ ​trumpeter. The​ ​first​ ​album​ ​was​ ​released​ ​in​ ​2014,​ ​winning​ ​some​ ​Italian​ ​and​ ​French​ ​radio​ ​stations.​ ​After​ ​a​ ​series​ ​of live​ ​releases​ ​the​ ​second​ ​album​ ​with​ ​this​ ​lineup​ ​called​ ​The​ ​Monkey​ ​Temple.​ ​Preceded​ ​by​ ​the​ ​single​ ​album with​ ​the​ ​voice​ ​Fitta​ ​Warri​ ​"Nuh​ ​Politician​ ​People".​ ​With​ ​this​ ​album,​ ​the​ ​band​ ​plays​ ​its​ ​record​ ​in​ ​the​ ​best Italian​ ​independent​ ​music​ ​and​ ​electronics​ ​festivals​ ​such​ ​as​ ​MusicalZoo​ ​(before​ ​Madaski's​ ​concert​ ​from Africa​ ​Unite),​ ​Radio​ ​Onda​ ​d'Urto​ ​Festival​ ​(before​ ​Jah9's​ ​concert)​ ​and​ ​collaborating​ ​with​ ​some​ ​important soundsystem​ ​like​ ​Italy​ ​in​ ​Dub,​ ​Rockers​ ​Dub​ ​Master,​ ​Brotheration​ ​HiFi.​ ​Noteworthy​ ​is​ ​the​ ​opening​ ​to​ ​Zion Train​ ​in​ ​March​ ​2015. In​ ​January​ ​2017,​ ​the​ ​third​ ​chapter​ ​of​ ​Road​ ​to​ ​Zion​ ​is​ ​released.​ ​A​ ​limited​ ​edition​ ​vinyl​ ​called​ ​Dub​ ​Against Blackjack​ ​with​ ​four​ ​versions​ ​of​ ​riddim: Free​ ​It​ ​Up​ ​with​ ​Dwarf​ ​Warri Free​ ​it​ ​Dub​ ​(Dub​ ​Version) Anarchy​ ​Into​ ​The​ ​Wild​ ​Beat​ ​(Road​ ​to​ ​Zion​ ​original​ ​version) Free​ ​Jungle​ ​(Jungle​ ​Remix​ ​by​ ​StefanoB) All​ ​this​ ​was​ ​promoted​ ​with​ ​a​ ​series​ ​of​ ​live​ ​concerts​ ​and​ ​the​ ​release​ ​of​ ​Anarchy​ ​Into​ ​The​ ​Wild​ ​Beat​ ​video clip. 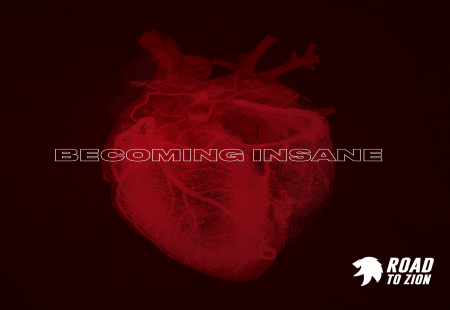 On​ ​October​ ​14,​ ​2017​ ​will​ ​be​ ​released​ ​the​ ​fourth​ ​chapter​ ​of​ ​the​ ​band​ ​and​ ​the​ ​third​ ​album​ ​called​ ​"Becoming Insane".​ ​It​ ​was​ ​premiered​ ​at​ ​the​ ​tenth​ ​edition​ ​of​ ​Outlook​ ​Festival​ ​in​ ​Croatia. The​ ​band's​ ​sonorities​ ​are​ ​a​ ​mix​ ​of​ ​Dub​ ​Electronics​ ​and​ ​Dub​ ​Old​ ​School.​ ​The​ ​most​ ​important​ ​artistic references​ ​are​ ​Zion​ ​Train,​ ​Panda​ ​Dub,​ ​Kanka,​ ​Ondubground.